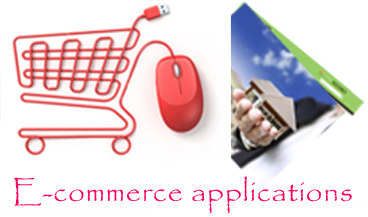 E-commerce is the mostpromising and fastest growing technology. We build this software with latest tools in the field.This supports all types of commerce from general shopping to shipping. This software allows the user to do shopping in any particular complex from anywhere in the world. This software enables global marketing thereby promoting them to compete in the global market easily and can reach customers around the globe.This application covers various process such as online shopping, Shipping, marketing, Trade, Share marketing, helps to manage details of purchase, sale, accounts, customer details, online interaction of customers and organization. There are various search options for various users depending upon their needs. Separate accounts for the management, users and investors. Latest tools for marketing and promotions. Catalogues for all types of products. Detailed description of the product given by the merchants defining its size, quality Prize and discounts if available. Interactivity: Interaction between the customers and merchants. Open cart shopping which allows the user to add multiple items in their personal accounts. Can add live demo video of the product. Online marketing to reach the global audience. Instant access tothe latest products available in the markets. It’s a boon to all small scale industries as it gives a global reach to their products. Very much cost effective as it is a inexpensive advertising medium i.e. helps to market their products at low costs. Barriers to do e-commerce are very less and provide greater opportunities for all small & medium scale organization. Time saving as it reduces the various efforts taken to marketing sales advertising purchasing etc. Direct interaction between the merchants and the consumers will reduce the interference of others. Can support any number of users. Customers can easily buy products without physically moving and is easily accessible which gives increased utility. It provides real information such as availability of particular products, varieties, discounts and other benefits.